To continue with my previous post, I want to describe more of the evolution of my recent sculpting career… well, not exactly a career, but at least a pastime. It is something that is giving me much pleasure, and some physical exercise. After the doggie sculptures, I played with other nature-inspired pieces. 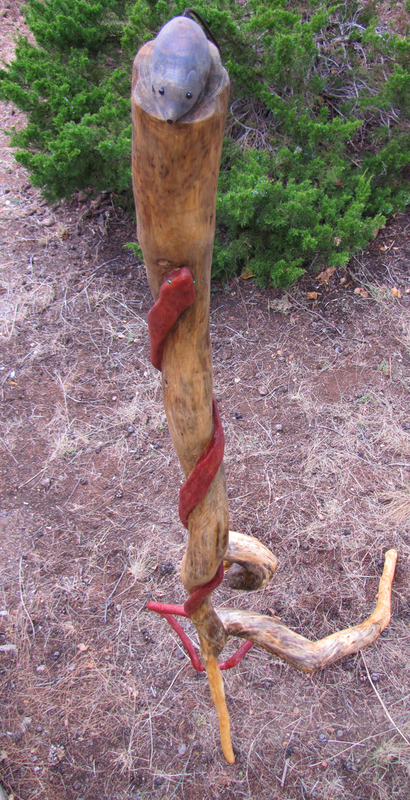 One is called The Serpent and is actually carved from one very odd tree branch. It stands nearly 7 feet tall, and slithering up the trunk is a snake in search of dinner. Perched on the very top is a little gray mouse peering down and debating what to do next. 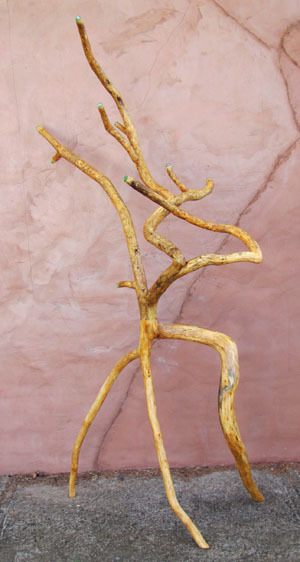 Another simple piece was created by attaching two branches together to form an interesting shape. I call it Dancing Eyes. We have used this as a Christmas tree to hang ornaments on. After these rather whimsical pieces, I decided to attempt something much more serious and challenging. I have been fascinated with prehistory, as it relates to the evolution of humanity for several decades, and done a great deal of reading about this. I even maintain a website devoted to this topic: www.humanpast.net. 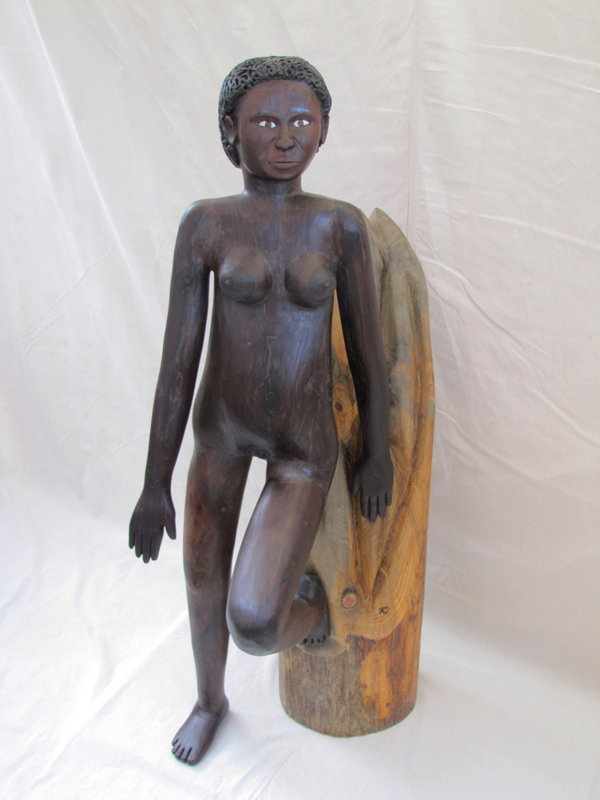 Mitochondrial Eve is life sized, standing about 5′ 6″ tall. All that she is wearing is a coat of linseed oil.